600 pages | 35 B/W Illus. 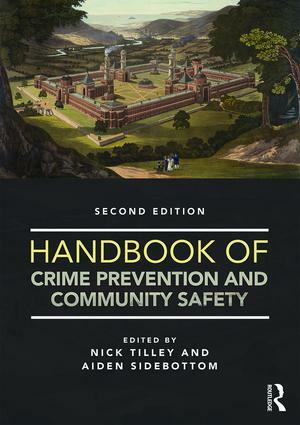 "Tilley and Sidebottom’s second edition Handbook is a must-read for all those who seek to prevent crime and enhance community safety. Bringing together 43 of the world’s best scholars writing 27 chapters, Tilley and Sidebottom present a collection of fresh, innovative insights about theoretically informed, applied approaches to crime prevention that are sure to make our families and communities safer." "The first edition of this Handbook was a key book for this field in 2005. This new edition is much more than just an updating. It brings a welcome increased focus on the key theories. It adds new research in the field together with key new topics such as cybercrime. The author list continues to be a list of all the key thinkers and researchers in the field of crime prevention and community safety." "This thoroughly updated edition retains its original message: prevention is not a one-size-fits-all project, but must be tailored to the criminal opportunities created by society itself. This volume incorporates new domains of crime into a framework general enough to cover both burglary and cyber crime, yet practical enough to suggest what steps communities should take in response. There is no better reference that they could turn to." Nick Tilley is Professor at the Department of Security and Crime Science, University College London. Aiden Sidebottom is Senior Lecturer at the Department of Security and Crime Science, University College London.